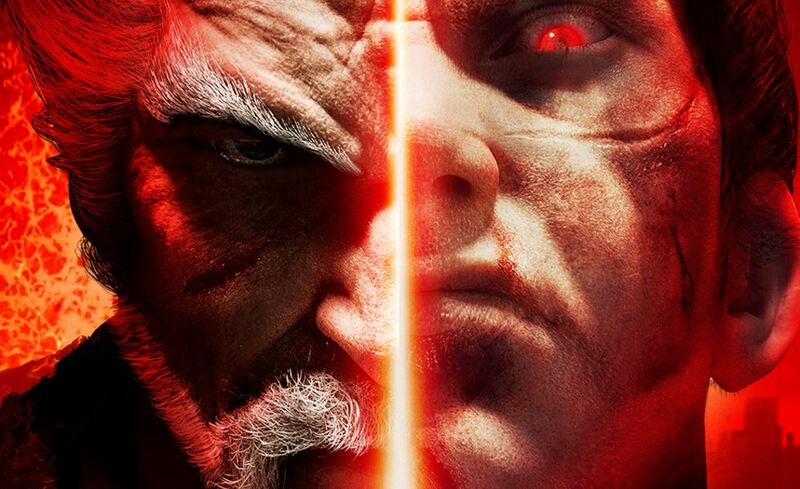 For a certain generation of gamers, Tekken is forever enshrined as the go-to fighting game. Jaded gamers who aren’t so keen on that whole DLC fad will wax lyrical about how they’d challenge their friends to see who The King of Iron Fist truly was. Hardly surprising really; Tekken 3 dominated the PS1. Producer Katsuhiro Harada reckoned it sold at least 8.3 million copies, and it’s the third best selling fighting game of all time. Of course, those sales figures aren’t just freak accidents. Tekken sits at the pinnacle of the 3D fighting genre, as it helped to define the term “easy to pick up, hard to master”. Players could either mash buttons and hope that bitching combos would happen or take time to study the move lists, yet both players would come away with an enjoyable experience. It was, and still is, the fighting game for the everyman/woman. Now, the hotly anticipated Tekken 7 has finally arrived on consoles, even though it’s been available in Japanese arcades for years. The question is, does Tekken 7 live up to the impressive lineage that this series has justly earned over the years, or is this the new black sheep of the family? The truth is, it’s equal parts fantastic and frustrating. As far as gameplay goes, Tekken 7 is brilliant on all fronts. This is pretty much the same Tekken engine we’re all used to, with a couple of additional trappings thrown in for good measure. The Rage system introduced in Tekken 6 is back, which allowed low health players to dish out more damage in an attempt to mount a comeback. Now, you can cash in your rage to perform Rage Arts, which are cinematic super moves not too dissimilar to Soulcalibur V’s Critical Edges, or Rage Drives, which modifies an existing move to do more damage, extend combos and much more. Certain players might call these Rage moves cheap as they do deal an insane amount of damage, but their whole purpose is to turn the tide of battle. Besides, no one complains when they win with one. There are other changes too, like screw attacks, which allow you to follow up with combos and has absolutely nothing to do with Metroid, and power crushes, which give armour properties to certain moves, but these changes are likely to go unnoticed by the more casual audience. Mashing buttons will still work, don’t worry. So what are those frustrations? For starters, the story mode, entitled The Mishima Saga, is for the most part a steaming puddle of hot piss. Billed as the final chapter in the blood feud between Heihachi and Kazuya, you spend half the time listening to some no-name journalist whose dreary and monotonous narration threatens to bore you into submission before the fights begin. His investigation into the war between Kazuya’s G Corporation and the-now-back-in-control Heihachi’s Mishima Zaibatsu is easily the worst part of the story, but it doesn’t stop there. You would think that Tekken 7 would use its story mode to flesh out some of the backstories of new characters, like Josie, Shaheen, Gigas and Lucky Chloe, but they’re all relegated to individual episodes. These are single fights that essentially serve as a substitute for Arcade endings, lacking in substance and providing you no real reason to invest in these characters. The only new character deemed worthy to get involved with this Mishima family roadshow is Claudio, and even then you fight him once and he disappears into the aether. It’s not a complete write-off, sure. When the plot stops fannying about with the war correspondent and actually focuses on the battle between Heihachi and Kazuya; specifically their past, Heihachi’s wife Kazumi and guest character Akuma’s promise to her; the story becomes much more engaging. The CGI animations are incredible and the fights themselves have a cinematic quality that makes them more than just another pointless scrap. The final chapter in particular utilises flashbacks, slow motion camera angles on big hits and Tekken’s signature amazing soundtrack, which are all on point and give the player a memorable finale, but it feels like too little too late. Yes, Heihachi and Kazuya fighting in the middle of an active volcano is totally radical, but the constant detours to hear some random journo douchebag talk about his dead family totally aren’t. Perhaps this is me being too critical, but Netherrealm Studios have been showing developers how to do fighting game stories for about six years, and it’s a formula that works. Next to something like Injustice 2, this just feels laughable. Even the Shadow Falls story from Street Fighter V was a better effort than this. But Tekken 7 is akin to Street Fighter V in one aspect: there aren’t many modes. The story mode isn’t that long and the arcade ladder is practically made redundant as the character endings are unlocked via the individual episodes. The only other significant mode is Treasure Battle, which sees you battle AI for treasure. Fancy that. If it sounds familiar, it’s because Treasure Battle is just a another name for the Ghost Battle Mode, which has been in the series since Tekken 5. The Tekken games of old would have had content bursting out of the seams, with modes like Team Battle, Time Attack, Survival and even the oddball, quirky modes like Tekken Ball, Tekken Bowl and Tekken Force. Again, Tekken 7 is being outshined by Injustice 2. In the choice between a game that offers potentially an infinite amount of replayability, and one that you can earn all the achievements/trophies in less than 24 hours, which is going to be perceived as better value to the consumer? It isn’t Tekken. And yet, Tekken 7 is still really enjoyable. It has this indescribable IT factor that almost compels you to play one more match, and another, and another, until you’re on a 30 win streak and your dinner has gone cold. Tekken 7 is flawed and outmatched by more recent competitors, but if you’re looking for an accessible brawler to play when you’ve got friends over, this is your pick. Perhaps that older generation were on to something. The meagre selection of modes and underwhelming story in Tekken 7 might put off the lonesome player, but if you've got two controllers and a friend/sibling/partner to play with, Tekken 7 will keep you occupied forever. Besides, where else are you going to see a bear smack seven shades out of a vampire wearing a Bullet Club t-shirt?